In LA, there’s something for everyone. From the famous Los Angeles shopping street to outdoor adventures to a variety of cultural foods. For example, if you think you can’t get traditional BBQ in Los Angeles, think again. 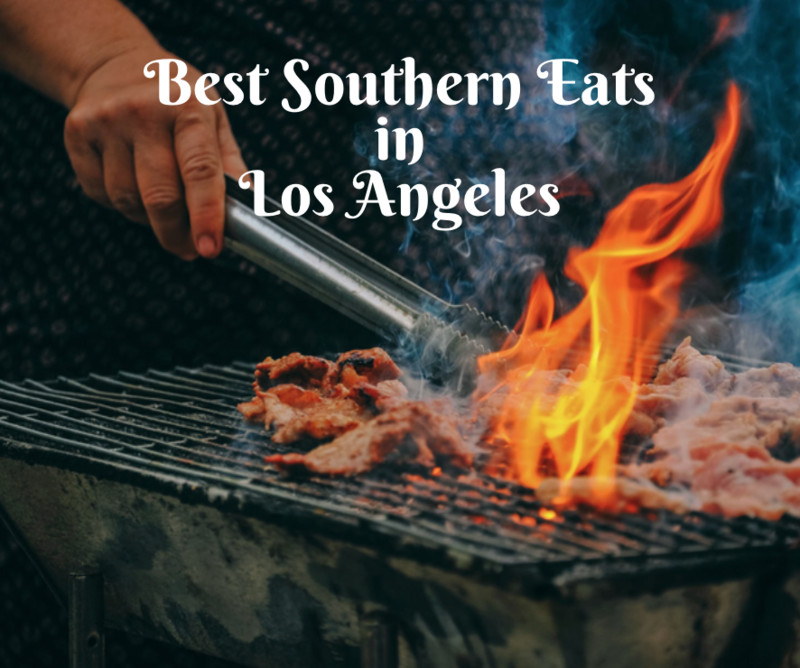 Check out some of these restaurants where you can find the best southern food LA has to offer. When it comes to BBQ, you probably don’t think of alligator as being an option on the menu. However, at Black Sugar Rib Co, that’s exactly what they’re serving up! If you’re feeling adventurous, try the alligator bbq, if you’re looking for something more traditional, they have other delicious bbq options as well! Such as ribs and bbq chicken. At Bludso’s the sides are just as good as the main show. Choose from meats such as brisket, ribs, chicken, pulled pork, red hot sausage and more. Sides include mac and cheese, baked beans, collared greens, potato salad, coleslaw, cornbread and more! Pair your meal with a drink from the bar and you’ll be set for a perfect dining experience. This BBQ establishment is a popular location at the Grand Central Market in DTLA. With an owner who is from Texas, you can be sure that this BBQ is as traditional as it gets. Choose meets such as fried chicken, brisket, pulled pork, pork belly, ribs, rib tips, and more. Classic sides include coleslaw, baked beans, mac n cheese, corn bread, potato salad and french fries. For slow cooked, southern-style barbecue, head to Max City BBQ. Enjoy St. Louis style ribs, pulled pork, brisket, tri tip, bbq chicken, and smoked chicken wings among other options. Enjoy sides like cornbread, baked beans, potato salad, cucumber salad, and mac and cheese. Save room for desserts like key lime pie bar, seasonal pies, cookies, brownies and bread pudding!